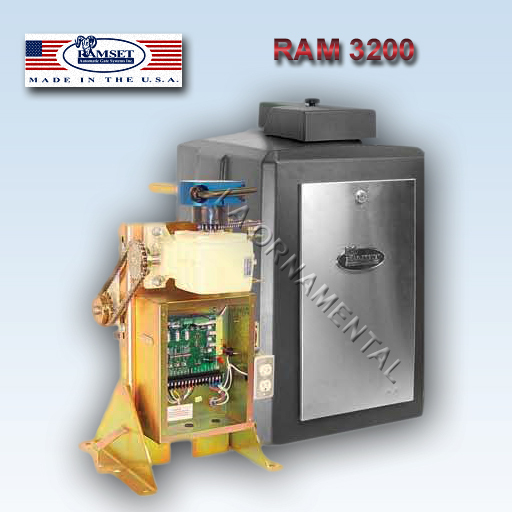 The robust RAM 3000 series features our strongers and most powerful operators, able to swing a gate up to 1200 pounds. The series is available in a 1/2, 3/4, or 1 horsepower, continuous duty motor, with high speed ball bearings and resettable overload button. 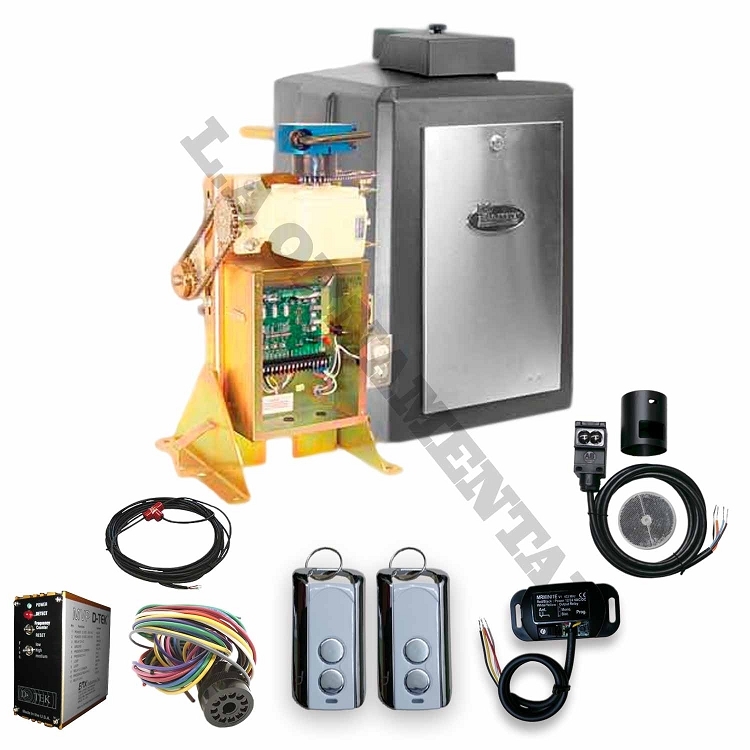 This powerhouse is both durable and reliable and each motor includes our Whisper Quiet operation. Max. Gate Weight : 1200 lbs. Motor : 1Hp 220 Vots. AC 4.5 amp. 1625 rpm. Power Failure Release : *By hand lever release or optional battery Back-up system. Gate Travel Speed : Approx. 90°opening in 20 sec. 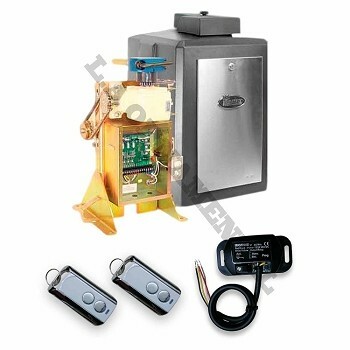 Emergency Release: This mechanism disengages the gate from the operator to allow easy manual opening and closing of the gate duting power outages and emergencies. Ramset's "Intelligate" control board works with all of Ramset's slide, swing and overhead vehicular gate operators. It is controlled by a programmable microprocessor that reads and precisely executes all functions of the control board. The control board is powered by a separate mounted 24VAC transformer. This allows no necessary board modifications between 110VAC and 220VAC single-phase applications. Reprogrammable microprocessor: Allows control boards to be updated. LED diagnostics: LED (red lights) show the status of the control board at all times. 3-Button station: Easy connection plug (included) for 3-button stations. Status relays: Triggers relays when the gate is fully open or fully closed. Plug-in loop detectors: Allows ILD-24 plug-in loop detectors (sold separately) to be used, eliminating messy wire connections. The control board is powered by a 24VAC transformer that is INCLUDED. This allows no necessary board modifications between 110VAC and 220VAC single-phase applications. 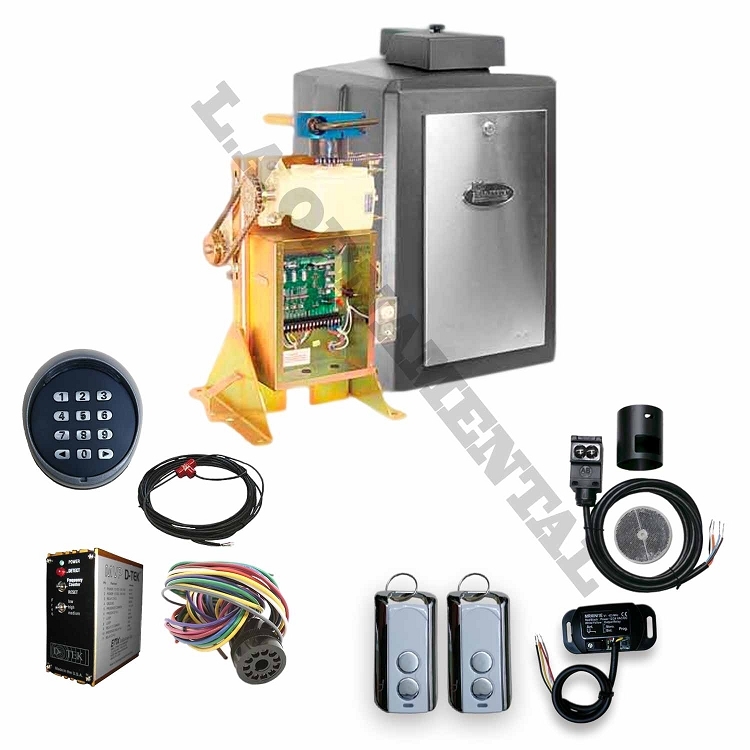 Automatic close timer: Automatically closes the gate after 0 - 60 seconds after the gate fully opens and all of the safety devices are cleared. any direction. During this 3 second delay the PREWARN relay maintains a closed contact. This allows an alarm or light to be connected to warn when the gate is about to move. Constant warning: Triggers the PREWARN relay to maintain a closed contact while gate is in motions. This allows an alarm or light to be connected to show when the gate is moving. Secure close: When power is lost, then regained, the control board checks the status of the gate. If the gate is open and the safety devices are cleared, the gate will automatically close. Radio cycle: Allows the gate to be stopped at any time with the remote control. Then reverse with another command. One pass: Closes the gate immediately after the safety devices are cleared. If another car triggers a safety device the gate will stop but not open until a valid open signal is received. Open & close delay: Adds a 1 second delay before the gate opens and/or closes. Left or Right: With a flip of a switch, the logic of the control board changes from a left hand operation to a right hand operation. Master/Slave: Synchronizes two gates to work together in a bi-parting installation. 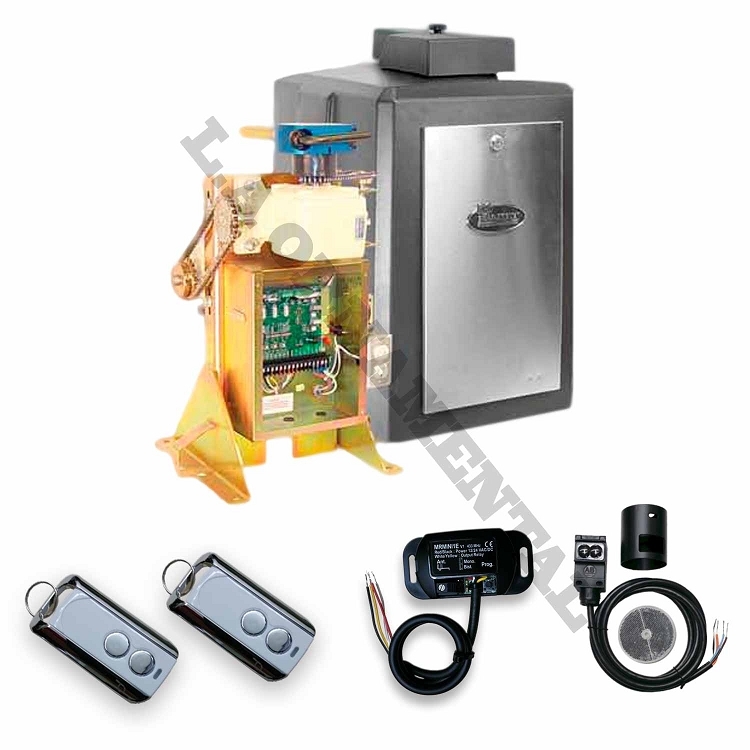 ERD (Electronic Reversing Devices): Automatically adjusts the sensitivity of the operator to the size of the gate.